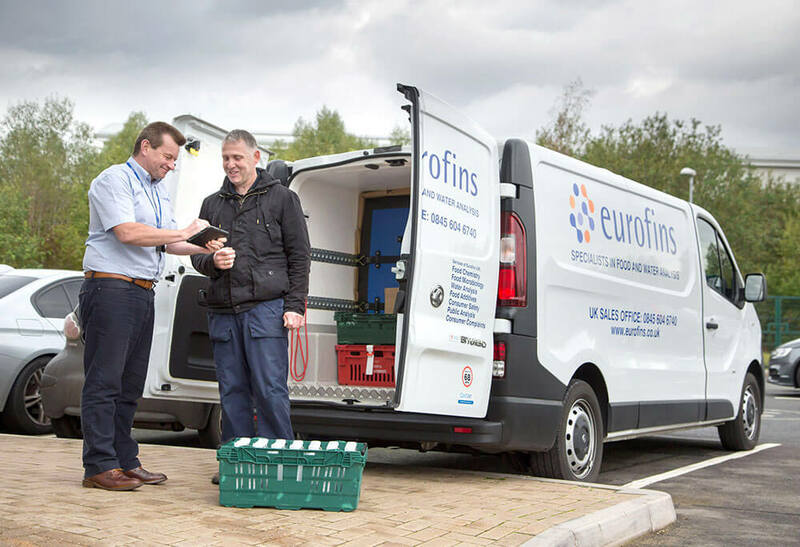 Leeds, UK, 08 November 2018 – Eurofins, the international analytical testing company, is employing the latest mobile and cloud technology to transform its logistics operation. 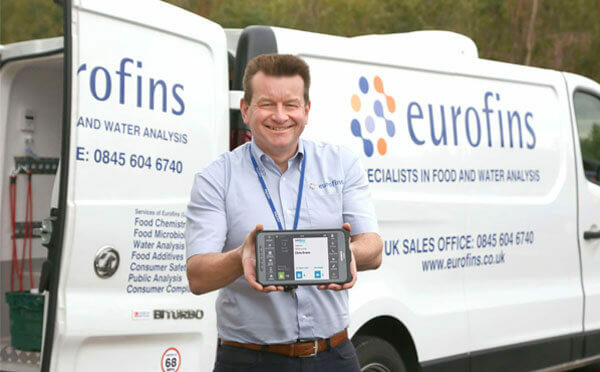 The company has begun rolling out a 5 in 1 system from BigChange that integrates mobile and back office apps to provide live operational control of a fleet of 50 Eurofins vans that collect food and water samples from clients across the UK. Called JobWatch, the BigChange system automates processes with digital workflows that replace traditional paperwork. Eurofins has invested in the complete end-to-end solution combining vehicle tracking and mobile apps, connected to back office CRM, routing and job scheduling. Eurofins a respected world leader in bioanalytical testing with a global network of 250 laboratories across 40 countries. BigChange is being introduced initially within the Food and Water division that tests mainly potable water and products from food manufacturers. Eurofins is equipping its 50 drivers with rugged Samsung tablets that replace traditional paper trip sheets. On arrival at customer sites or collection points, drivers use the tablets to enter details of samples being collected. Collection and handling requirements vary and are very critical, for example should a sample be transported in the ambient or chilled compartment of the van. Eurofins will use BigChange back office functions, such as CRM, job scheduling and routing, to manage everything from order to collection and customer service. The fleet is also being fitted with BigChange vehicle tracking which not only provides live monitoring of the fleet but useful driver performance monitoring. Article précédentCEO’s Blog – Join me in banishing phones from the meeting roomArticle suivantCEO’s Blog – Have I offended you yet?